The Auditor General of Canada has released a report on the new P3 Champlain Bridge that’s under construction in Montreal. The audit looks at how the federal government managed key project decisions. It finds many serious problems with how the government decided to use a P3. Tipping the scales in favour of P3s is a common practice that other auditors have exposed. Infrastructure Canada based construction cost estimates on a design that was only five per cent complete, well below the best practice of plans that are at least 30 per cent complete. When the auditor general recalculated using more realistic (and conservative) estimates, the bottom line was the P3 would cost $237 million more than a publicly-delivered project. Analysis of the P3 estimated it would save 10 per cent compared to a public project, due to “private-sector experience and expertise.” This rate was twice what even P3 promotion agency PPP Canada recommended. The auditor recalculated using PPP Canada’s rate of five per cent and found the P3 would cost $26 million more than a public project. 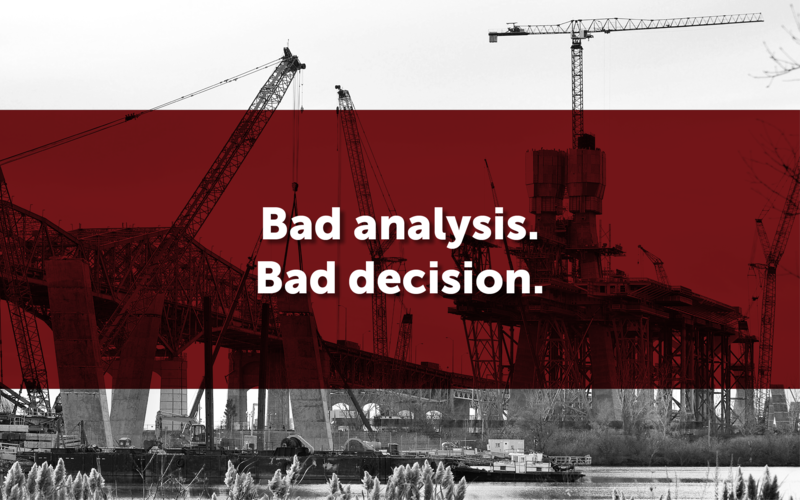 The analysis claimed a public bridge would cost more to operate and maintain and assumed a public bridge would have risks that added six times the cost of risks that would be taken on by the private sector in a P3. Some risks taken on in the P3 (late completion and construction cost overruns) were not properly evaluated. The findings open another federal P3 bridge project, the Gordie Howe International Bridge, to serious questions about how it was evaluated and chosen. P3 advocates claim Canada has one of the most robust and sophisticated P3 procurement systems in the world. This audit shows the system is rigged in favour of privatization. The Auditor General of Canada’s review of the Champlain Bridge P3 confirms what CUPE and other critics are saying: the entire P3 process is broken.